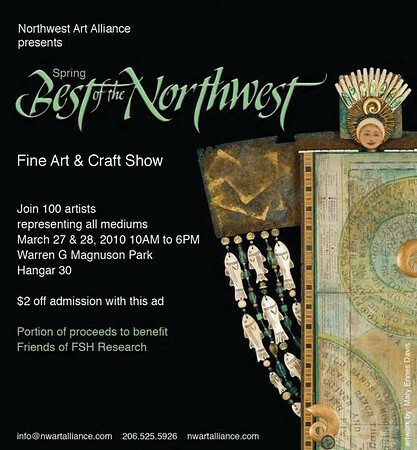 I will have a booth at the upcoming Spring Best of the Northwest fine art and craft show. Please plan to join me for the event to be held Saturday and Sunday, March 27th & 28th at Hangar 30 in Seattle’s Magnuson Park from 10AM to 6PM. This juried show will feature over 110 of our regional artists spanning every medium – photography, great garden art, fine paintings, beautiful artist designed clothing & jewelry, glass, wood, metal, ceramic and more. This is a great opportunity to purchase something special and handmade for your home, for yourself and for an upcoming special occasion. Spend the day enjoying the art, music, and tasty food! There is plenty of free parking. Please assist me in getting word out to the community to help support our local artists – kindly pass this along to your friends and post on your facebook – Thanks and I look forward to seeing you at the event!! 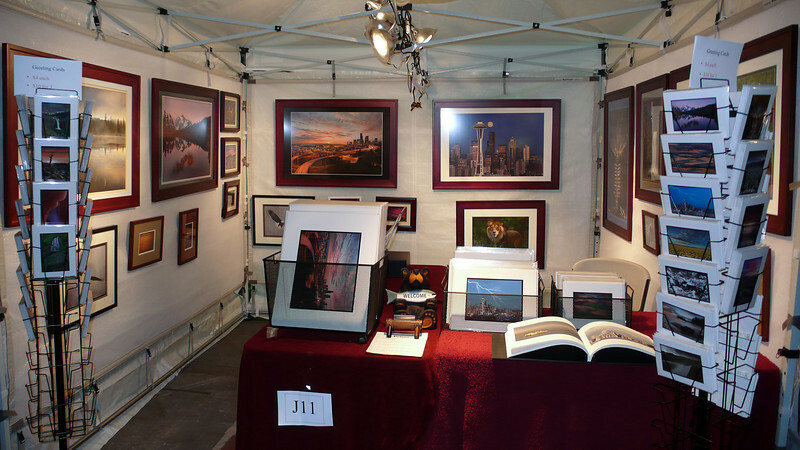 Here’s a shot of my booth from the same show two years ago.